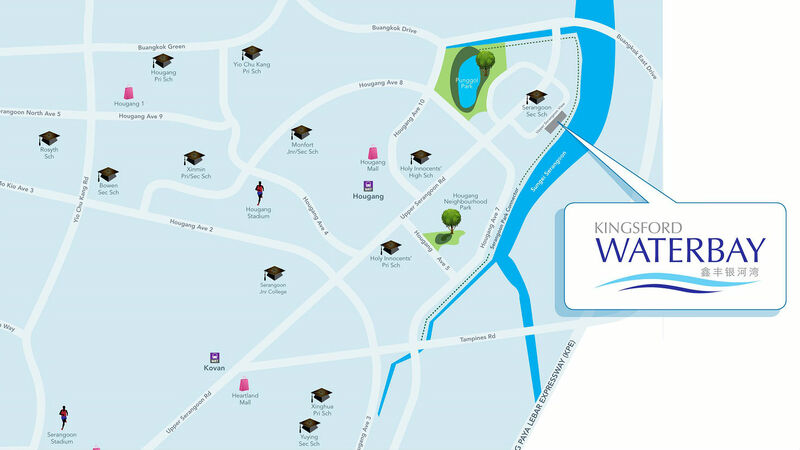 Kingsford Waterbay, offering scenic riverfront living by the Serangoon River at Upper Serangoon View. 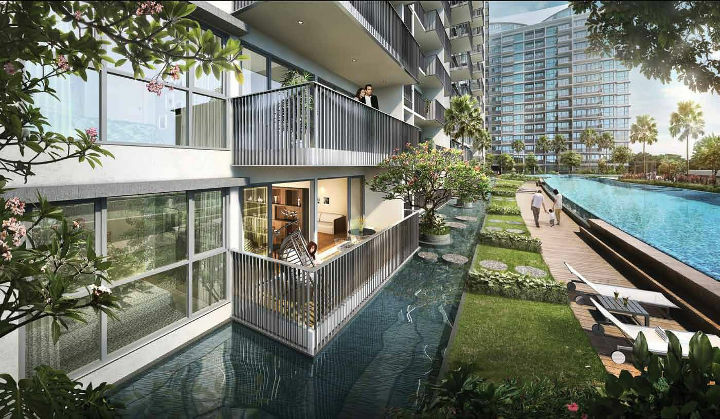 It is a new condo launch at D19 Hougang by Kingsford Development with the longest continuous riverfront featuring spectacular water features, where home is a water paradise and more. 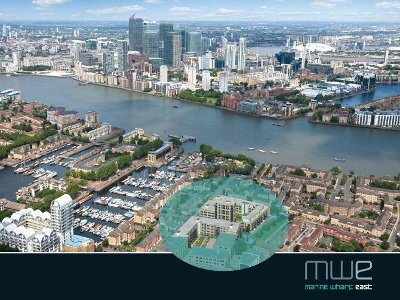 One of the most affordable waterfront living offering healthy active lifestyle with wide choice of units types and even a strata landed house. DIRECT DEVELOPER SALES Best Buy Package! 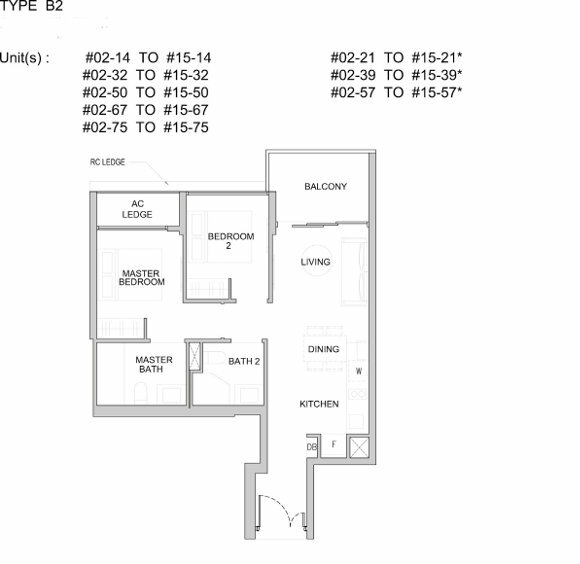 Register for Exclusive Site and Show Gallery Viewing TODAY! 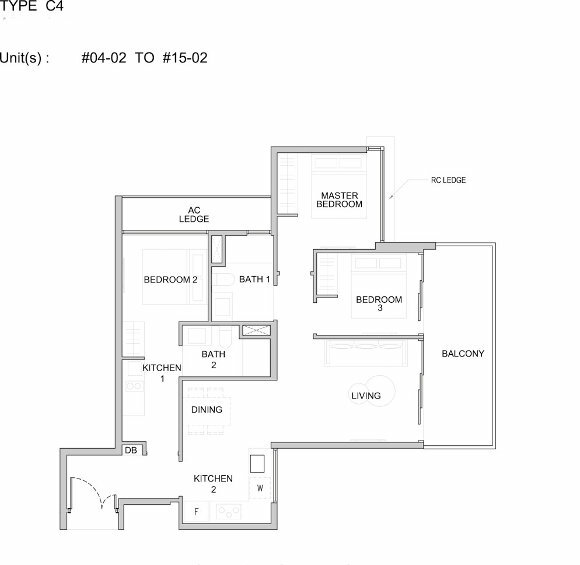 Experience the fresh allure of residences at Kingsford WaterBay. Set by the pictureques Sungei Serangoon, Kingsford Waterbay presents the convenience of living at Upper Serangoon View within a mature Hougang neighborhood, while hidden away from the suburban bustle in a tranquil setting, where botanical aromas permeates the surrounding fresh air as you take in the exceptional riverfront views. At the heart of vibrancy, the best things in life revolves around you and your family. 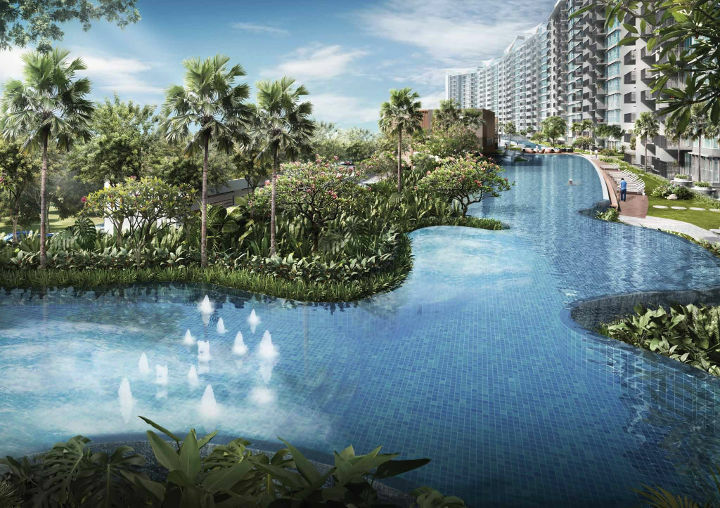 Rare riverfront homes fronting more than 400 m of uninterrupted scenic Sungei Serangoon. 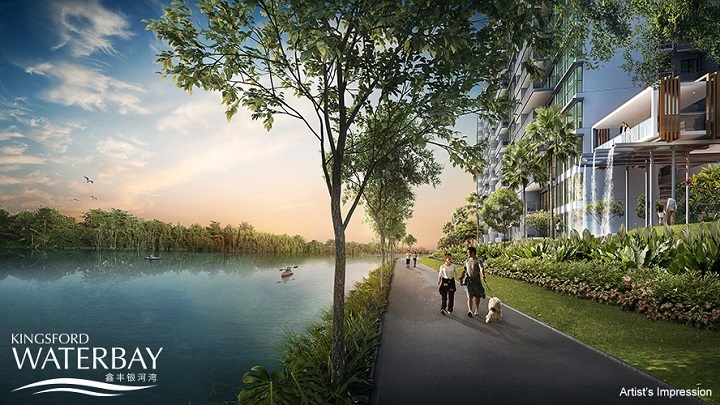 Serangoon Park Connector at your doorstep connecting all the way to Punggol Waterway providing endless healthy outdoor fun. Only 18 minutes (approx.) drive to the CBD, Marina Bay Financial Centre via KPE. 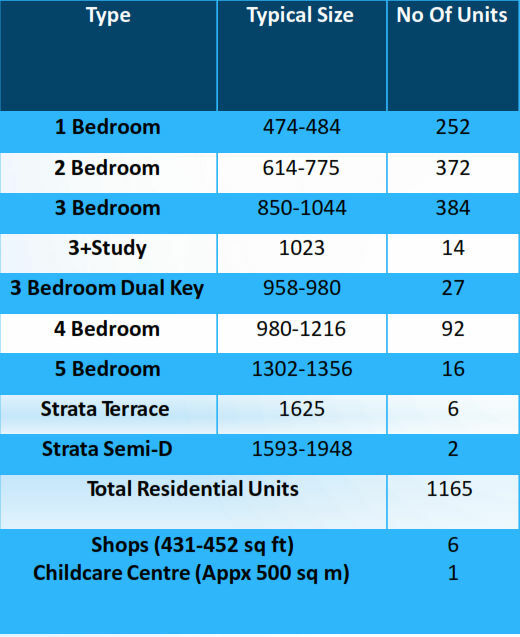 Hougang Mall, Heartland Mall, and NEX Shopping Mall in proximity with all your conveniences within easy reach. Vibrant Punggol Park just a leisurely stroll away. 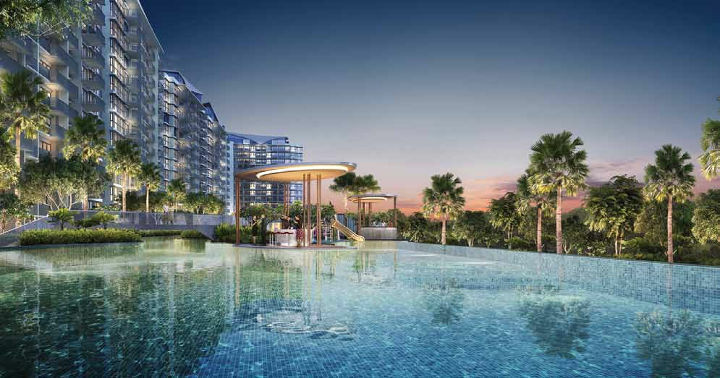 Inspired by a sailing boat, Kingsford Waterbay is architecturally designed like a ship sailing through two rivers – Serangoon River on one side and a river-like water feature on the other. 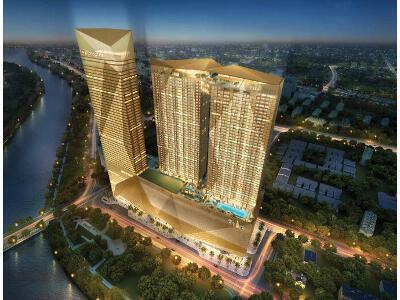 The uninterrupted riverfront stretching over 400m is made possible by the amalgamation of two parcel of land and foresight of Kingsford Development to develop it as a single development on a sizable land area of 293,806.6 sqft. The Stream provides one of the longest man-made river in a private development in Singapore. A flowing surround where every turn is a new discovery of soulful relaxation. Have leisurely jogs down the meandering terrain, join your folks in a healthful Tai Chi practice by the water, or simply sit back and drink in the atmosphere. Be transported to a world of calm and serenity, the perfect playground for you and your family. You will feel you are stepping into a secret garden, a meditative milieu that provides a Zen-like calm from the rigours of modern living. Vibrant and exhilarating with a playful twist of energy and discovery, fall in love with the surrounding vista that inspires nothing less than awe. Let the shimmering sheets of water refresh every tired muscle. The River - Go with the flow in the quiet rhythm of life. At the clubhouse here's where you, family members and friends can gather for various fun activities at the Multi-purpose function room while enjoying the mesmerizing views of The River sensory zones. 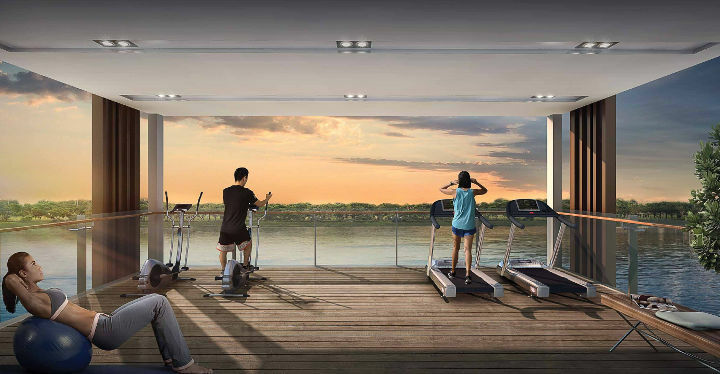 Recharge to the fullest in a scenic gym. Situated in a mature Hougang neighbourhood, amenities are aplenty from a few minutes stroll to 5 minutes bus ride you have easy access to all the modern conveniences. Punggol Park is just a short 8 minutes away where you can enjoy the lush greenery and a huge scenic pond as you jog around it or simply chill out at the popular Wild Oats restaurant where you can enjoy local favorites dishes or localized western food and chill with a cold glass of beer. 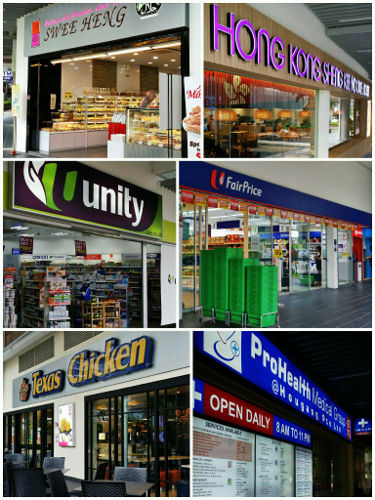 For some retail therapy simply head over to Hougang Central which is just a short 5 minutes shuttle bus ride right from your doorstep where you will find Hougang mall as well as heartland shops and Kang Kar Mall. It’s like Mother Nature saying “Enjoy”. 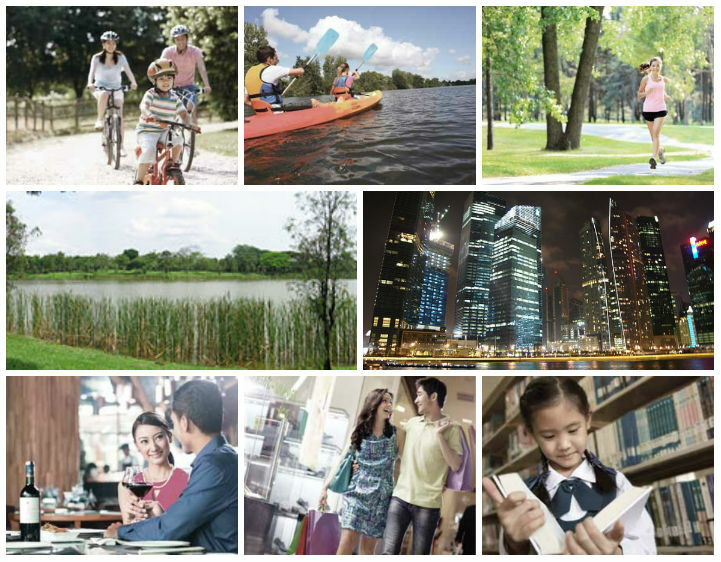 Infused with the natural sights and sounds of the Sungei Serangoon, opportunities to play, learn and grow in nature abound. Thanks to the PUB’s Active, Beautiful, Clean Waters (ABC Waters) Programme, residents can now enjoy the ‘river classroom’ experience in the great outdoor. 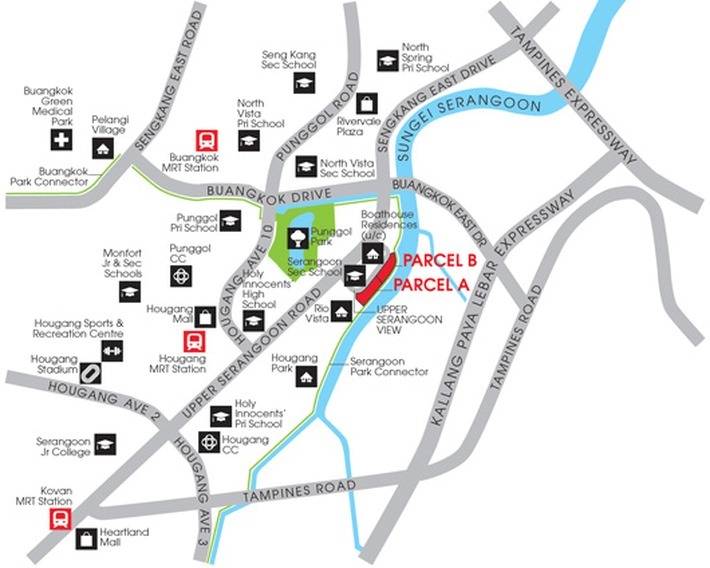 You can also gain direct access to the Serangoon Park Connector that links to other major parks in the North-east Region including the Punggol Park complete with opportunities for water sports and recreation. 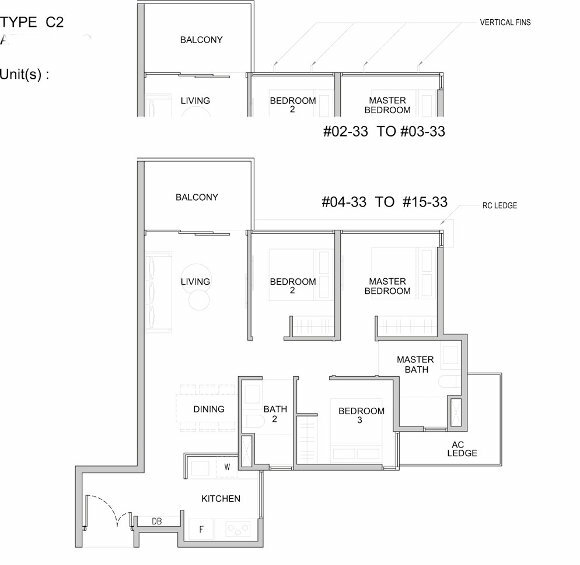 Kingsford Waterbay condo features 7 exceptional living space from1- to 5-bedrooms to Strata-landed houses, with efficient and flexible configurations, generating functional, gorgeous homes that take full benefit of this rare riverside location. This is riverfront living, with style. 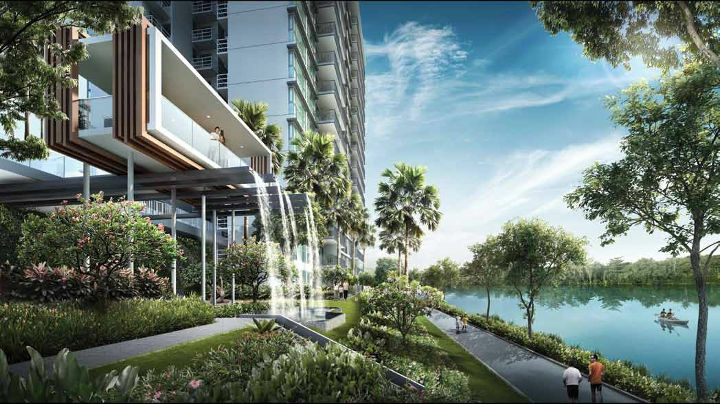 Here, every day brings spectacular views of continuous riverfront of the Sungei Serangoon or beautiful man-made river water features while you breathe in the fresh air infused with botanic scents. From young urbanites striving to acquire the most out of everyday living to multi-generational families seeking for a home that fulfills the requirements of each and every family member, Kingsford Waterbay is where you can absolutely live as you aspire. 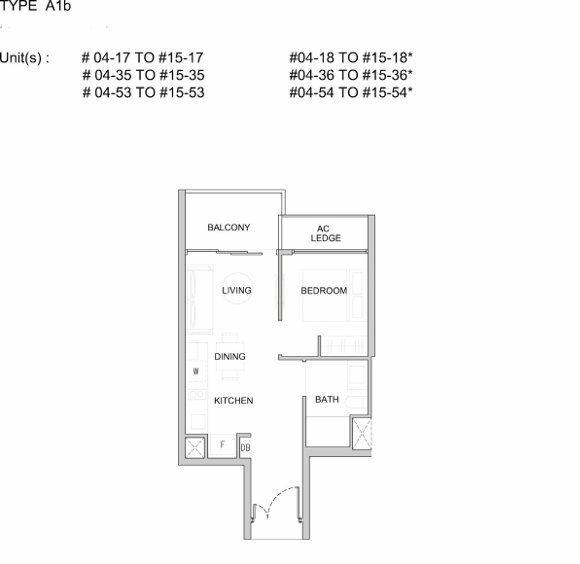 Don't Miss this rare scenic riverfront development, Kingsford Waterbay by Kingsford Development. 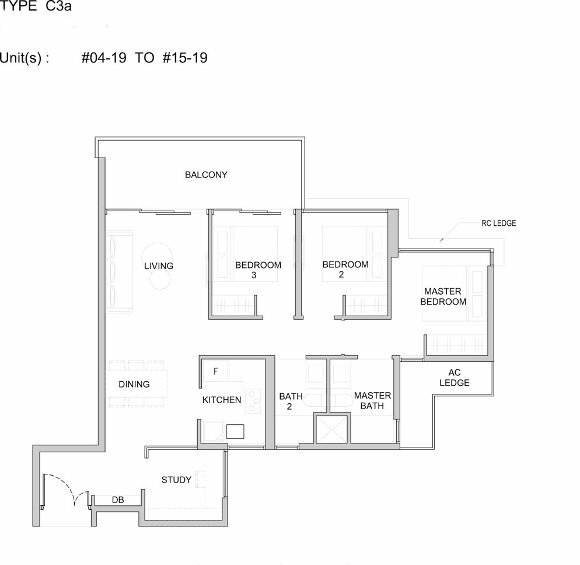 D19 Hougang New condo launch. 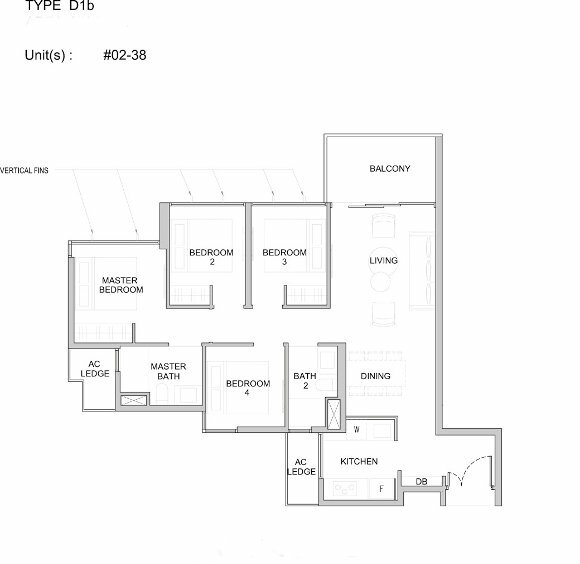 Units selling fast. 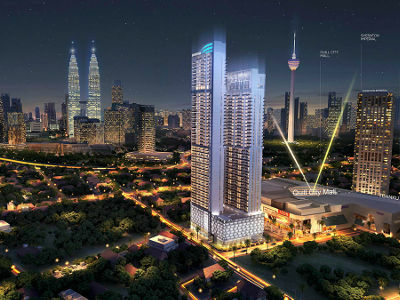 For Best Buy Package, Register for your VIP Invite to Kingsford Waterbay Show Gallery and site visit now.